The Nour Party announced on Sunday it is backing President Abdel-Fattah El-Sisi in his bid for a second presidential term in this spring’s presidential election. 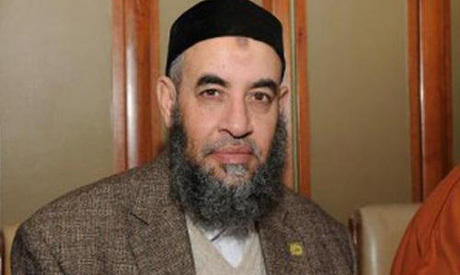 Younis Makhioun, the head of the Salafist grouping, said the decision to retain the party’s support for the current president came following a shura consultation process by the party's higher commission. "El-Sisi is the foremost in dealing with the current serious functions and achieving cooperation between all state institutions to achieve stability, sparing the country from danger," Makhioun said, calling on the party members to participate in the upcoming elections. The Salafist party backed El-Sisi when he was first running for president in May 2014, and in 2013 had backed President Mohamed Morsi's ouster. Sunday's statement comes one day after Egypt's liberal Wafd Party voted not to nominate party chairman El-Sayed El-Badawi as a candidate in the March elections, affirming their support for El-Sisi. The Egyptian Coalition, which includes around 30 parties, mostly pro-Sisi, also announced their support for the president’s election bid on Saturday. The deadline for submitting candidacy requests to the elections commission is Monday. If no one runs against El-Sisi, who submitted his candidacy papers last week, Article 26 of the law regulating the presidential elections says that the sole candidate can be elected if he secures a 'yes' vote from 5 percent of eligible voters.